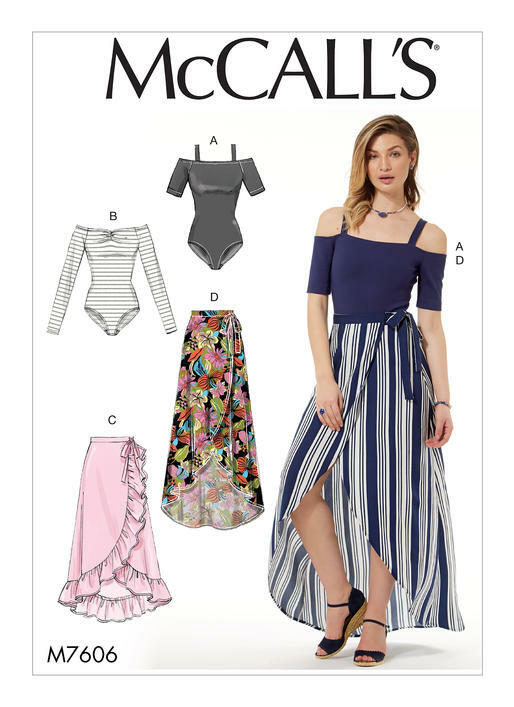 The McCalls M7644 bodysuit and skirt sewing pattern, it’s perfect for an advanced beginner/intermediate dressmaker. This very close fitting bodysuit has neckline and sleeve variations. Wrap skirts have side tie and length variations. FABRICS: A, B: For Two-way Stretch Knits (50% Cross Grain): Jerseys, Rib Knit, Interlock. C, D: Challis, Crepes, Knits. NOTIONS: B: 1/8 yd. (0.2 m) of 1/4” (0.6 cm) Elastic. This sewing pattern is available in PAPER format only. If you’re looking for more maker inspiration, check out the latest sewing pattern reviews from the sewing community. We also have a sewing blog to keep you up to date with all the news from the world of sewing! I love this skirt! 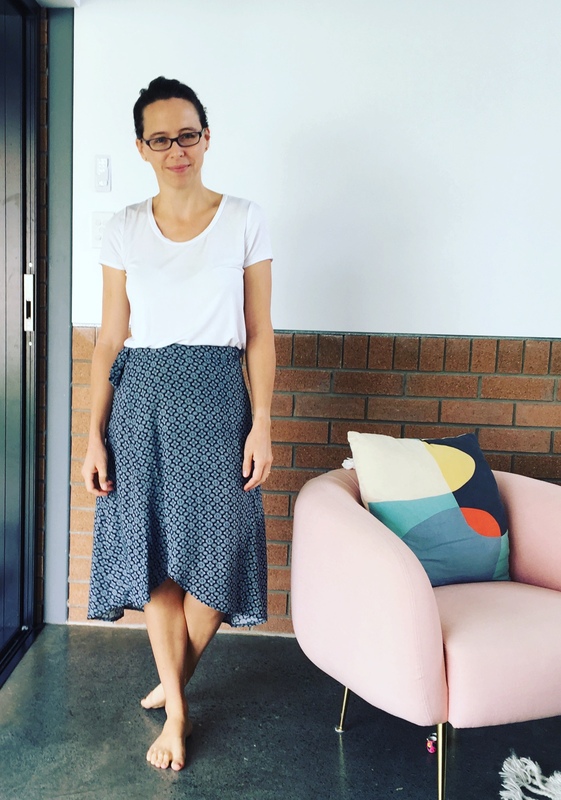 I used a woven rayon to make view C (shorter length skirt) without the ruffle because of fabric restrictions. I actually chopped up an ill-fitting maxi dress so was really pleased I could eek this out of the fabric available. I sewed up the size according to my measurements and the fit is spot on (although I guess you have a bit of leeway considering the true wrap nature of this design). It’s lovely in this rayon and swishes gloriously when you’re on the move… although I’ll warn you in very windy weather you do need to be ready to save yourself from showing a little too much leg!. I can’t wait to make the version C with the ruffle next time.